I have released a shiny app through the Rstudio Spark server that allows for users to copy and paste Stata code into the app and it returns html formatted code. 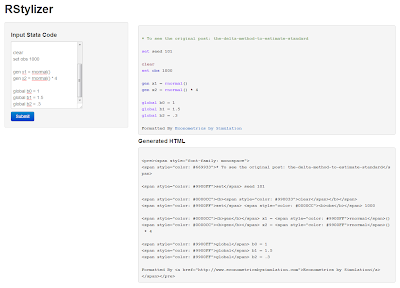 The syntax structure is very easy to modify and I am looking forward to updating it when I have time, permitting extensions of the app to other languages as well as allowing users to customize the particular aspects of of the formatting such as making some commands bold or changing the color or how comments are identified. In addition, I also hope to include an input field for users to add to language definitions, allowing for the creation of custom definitions. In general the html generated is not very efficient since tags are repeated when css embedded styles is probably the preferred option. However, since it makes very little difference in terms of load time, I figure this should work fine. 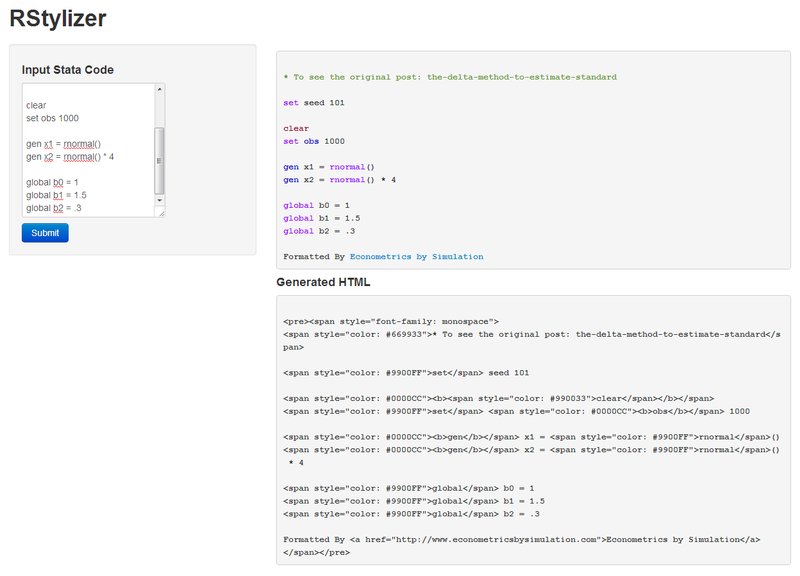 In addition, Blogger's gui seems to handle the tags better than embedded style sheets.